If you like listening to your digital music library as well as using the Internet to stream your favorite radio stations straight to your desktop, then did you know that some software media players can do both? Many music fans download and install a separate Web radio player on their computer for tuning into Internet radio, but you can work smart by choosing a jukebox software program that has built-in support for Web radio. Having one central program that does it all is a great time-saver and also reduces the amount of space-hogging software that is installed on your hard drive. Another benefit of optimizing the amount of music-related software that has to be run is that the strain on your system is also reduced -- valuable resources like the CPU and memory can be used for other important tasks. However, not all software media players come with a built-in Internet radio feature and so it can be difficult to find the right one for your needs. To save you time having to trawl the Internet looking for the right media playing tool and Web radio combo, we have cherry-picked some of the best free applications (in no particular order) that do a stellar job. iTunes is a well-known software media player that is an excellent all-rounder -- it is a solid application that covers just about any task you want to carry out concerning digital music. It is also widely used for purchasing music, apps, and other digital media products from Apple's iTunes Store. If you already use this jukebox software program, then the good news is that you already have the right software installed to tap into the thousands of radio stations that stream over the Internet without having to install a dedicated Web radio player. iTunes gives you access to great Web radio content and provides a wide selection of genres to choose from that should satisfy just about any musical taste you want to explore. 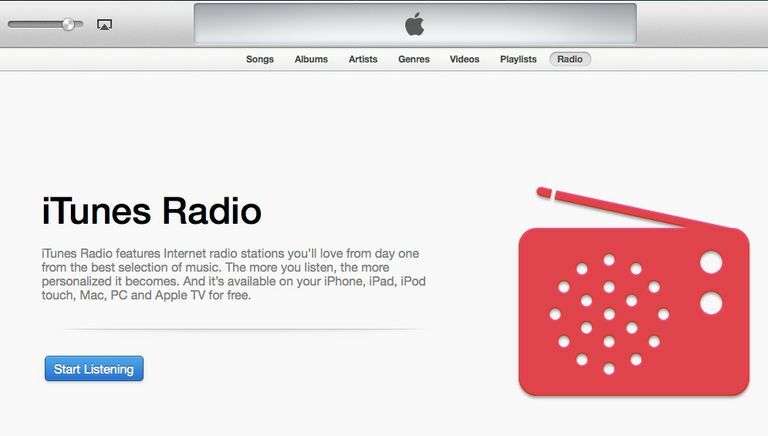 To find out how to tap into the world of Web radio, why not read our tutorial on how to use iTunes to listen to streaming music stations. Microsoft's Windows Media Player (WMP) is another popular program (for Windows users) that is useful for managing and organizing a digital music library. It's not always obvious, but hidden under WMP's main interface is the facility to access hundreds of streaming music stations for free. This gives you an instant (and very useful) music discovery tool that helps you to find new music without having to use a separate streaming service or Web radio software tool. To see how to do this, we have written a short Windows Media Player step-by-step tutorial that shows you exactly how to listen to radio stations that broadcast over the Internet. If you use Winamp to manage the songs in your music library, did you know that there is also a large pool of Internet radio stations at your fingertips? Using Winamp you can access literally thousands of free radio broadcasts via SHOUTcast. This is a huge directory of Web radio stations that are available via SHOUTcast servers that Winamp connects to. If you'd like to start using Winamp to tune into your favorite radio stations (and thousands more), then follow our tutorial on how to listen to SHOUTcast radio stations. Spider Player is a slick free jukebox software program that has an excellent range of features for listening and organizing your digital music library. However, the ace up this program's sleeve is that it can record Internet radio as well as play it. The free version has a 5-minute continuous recording limit (probably long enough to grab most songs) while the pro version has unlimited recording. Even with this slight handicap, the free version of Spider Player enables you to access both SHOUTcast and ICEcast streaming servers which gives you a huge smörgåsbord of Web radio stations to tune into without having to turn to a separate Web radio player tool.